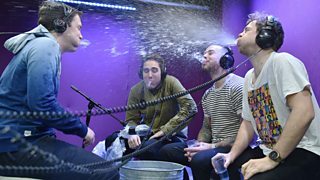 Cel and Fay join Chris Stark for the world's finest water-spitting based game. Will Danny end up wetter than a Ibiza pool party? 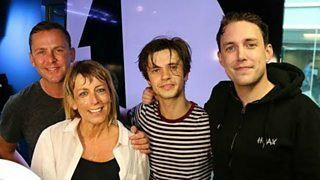 The Vamps are back to play more Innuendo Bingo with Chris and Scott! Jonas Blue jumps in the wetseat this week for a Bingo face-off with Chris and Scott. 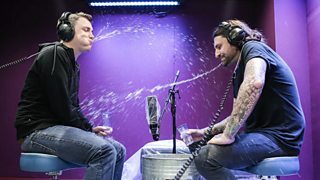 Olly joins Scott and Chris for another round of the world's finest water-spitting game. 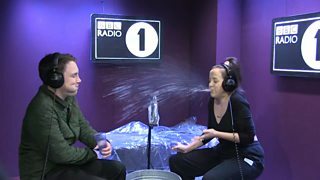 Charlotte Crosby gets in the wet-seat with Chris for the latest Innuendo Bingo. 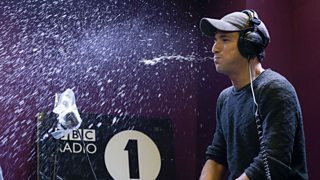 Jamie 'Matrix' (from Matrix & Futurebound) and Calum Scott play Innuendo Bingo. 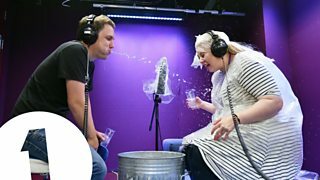 Fashion and beauty vlogger Louise Pentland is the latest celeb to try out Innuendo Bingo. Lydia's the latest famous to take a turn in the wet-seat on this week's Innuendo Bingo! Luisa Omielan makes her debut on Innuendo Bingo - witness the wetness! Pixie Lott and Anton Powers are in the Innuendo Bingo hot seat! 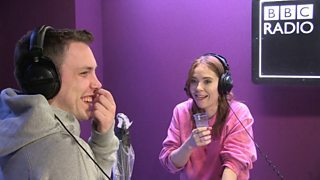 Angela Scanlon is in the Innuendo Bingo hot seat! Bobby Norris and Pete Wicks from TOWIE play Innuendo Bingo - one of the best ones yet!!!! 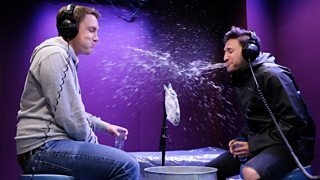 It's two on one as Jedward take on Chris Stark for a round of Innuendo Bingo. 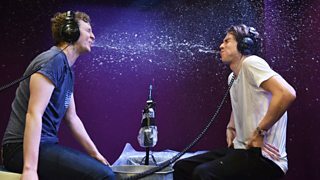 Matt Edmondson sits in for Chris to take on Joey Essex in a very wet Innuendo Bingo. 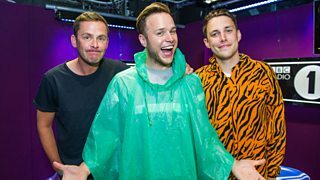 Danny 'Lord of the Dance' Howard dons an owl costume in a wet-off with Chris Stark! Danny Mac is getting very wet, but he is not taking his shirt off. 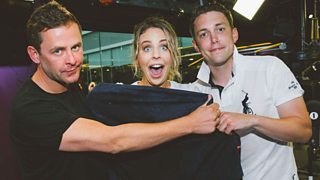 Adele joins Scott and Chris, and finds something odd in the Innuendo Bingo bin. It's what the world was waiting for... Now finally it's here! Poorly Chris plays Bingo with a suspected broken rib, but Matt shows him no mercy. 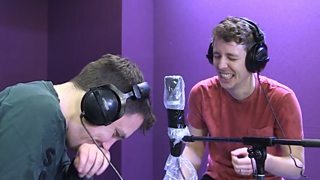 Innuendo Bingo with Frank Carter & the Rattlesnakes — Bingo with Frank Carter and the Rattlesnakes! 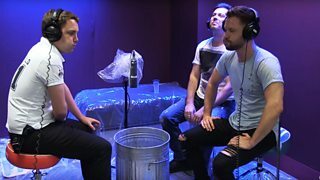 Chris Stark is joined by Frank and Dean from the Rattlesnakes for more Innuendo Bingo! Conor and Chris take no prisoners in this grudge match edition of Bingo. 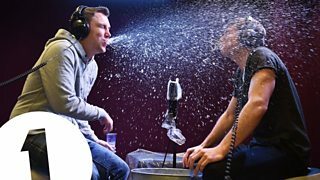 Innuendo Bingo with Will Best — What Happens in Vegas… Doesn’t Stay in Vegas! Will Best from Dance Dance Dance gets an absolute soaking from Chris.